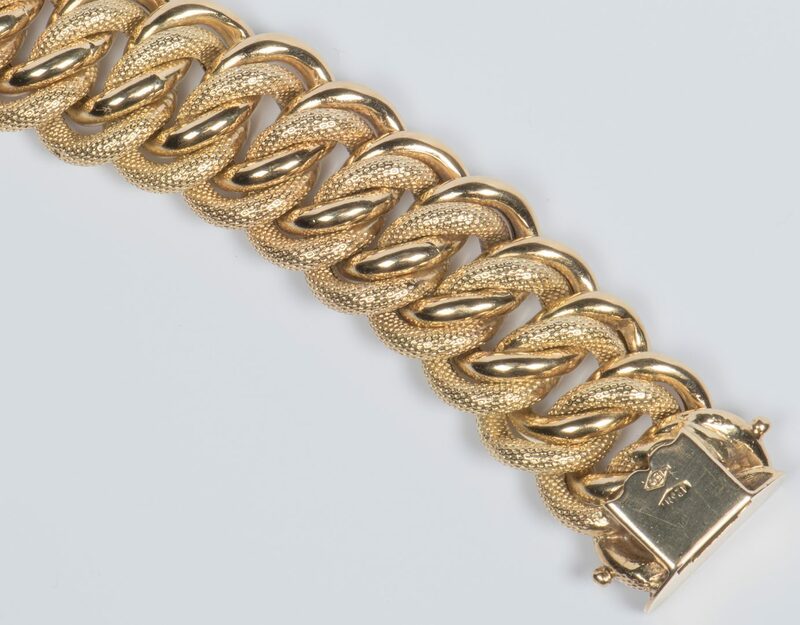 18K yellow gold link bracelet with alternating textured and bright links, 8-3/8" L x 7/8" W with two safety clasps. 65.2 grams. Provenance: Private collection, Knoxville, TN. CONDITION: Very good condition.